This review is written for the Killer Reads website, a fantastic resource for anything crime and thriller related. Originally written in the 1960's by the Swedish author Maj Sjowall and her partner Per Wahlöö, Roseanna is a defining point in the genre of crime fiction, not only founding the award winning ten book series that feature Martin Beck - all of which have been made into films - but influencing many authors including Stieg Larsson (author of the Girl with the Dragon tattoo), Henning Mankell (author of the Kurt Wallander series) and Jo Nesbo (author of the Harry Hole series). It all starts with a body, dredged up from the sludge of a lock near Sweden's Lake Vattern. Naked and unknown, there are no clues to her identity or reasons why she had been killed. Martin Beck is called from Stockholm to assist the authorities in trying to find who she was and the identity or her murderer. One of the defining characteristics of the novel is the dogged realism - the fact that month’s pass before things actually happen on the case and it's a process of time-consuming legwork that actually moves things along. During these early chapters time is set aside to learn about the character and personality of Martin Beck - an unhappily married father of one who struggles with health issues and seems to suffer from a certain amount of desensitisation, floating through his life without too many strong feelings about anything. This everyday character - a realistic someone who you could quite easily meet in the street really grounds the novel and creates an incredibly realistic voice. Ironically it's this sense of normality which really helps to set the novel apart, bringing to life the hunt for the killer - not with lots of high speed car chases and manly chest pounding but with actual police work by normal, yet gifted people. The pace picks up once they get their first real break and the focus moves back to the story at hand and from then on stays fairly well routed to the task of bringing the killer to ground. Apart from the lack of inclusion of 21st century technology (smart phones, laptops etc) the novel has aged incredibly well, you really wouldn't believe that it was written way back in 1965 and it still retains a very fresh feeling. The prose itself is neat, structured and matter of fact - no time is wasted with unnecessary flower language, lengthy descriptions or exposition, there is in fact no wasted space at all and the simple use of grammar is outstanding. 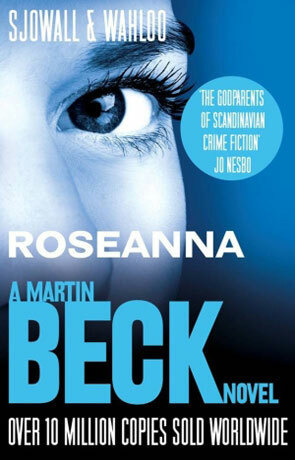 Roseanna is as much a window on the culture and life of 1960's Sweden as it is a crime novel and learning about this rich culture along with meeting Martin Beck for the first time was an experience I very much enjoyed.. Written on 2nd September 2011 by Ant.